R. S. Dugan discovered asteroids #518 Halawe and #519 Sylvania. M. Wolf discovered asteroid #577 Rhea. K. Reinmuth discovered asteroid #924 Toni. K. Reinmuth discovered asteroid #943 Begonia. E. Delporte discovered asteroid #2819 Ensor. A. Wachmann discovered asteroid #1501 Baade. G. Kulin discovered asteroid #1710 Gothard. USSR launched Zond 8 from Baikonur on a Lunar flyby and Earth return mission for investigations of the Moon and circumlunar space, and testing of onboard systems and units. P. Wild discovered asteroids #1838 Ursa, #1839 Ragazza and #1893 Jakoba. 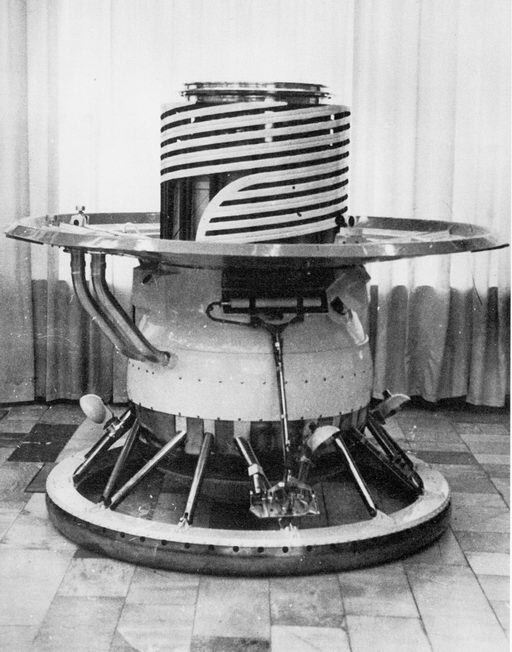 USSR's Venera 9 entered orbit about Venus, and the landing probe separated from the orbiter, in preparation for its descent to the surface. L. G. Karachkina discovered asteroid #3437 Kapitsa. A. Mrkos discovered asteroid #3395. NASA launched STS 73 (Columbia 18, Shuttle 72) carrying the US Microgravity Laboratory-2 (USML-2) experiment platform into orbit. STS 73 launched 20 October 1995; the successful launch after six scrubs tied STS 73 with STS 61-C for the most launch scrubs of a single mission: The liftoff originally set for 25 September 1995 was scrubbed shortly after tanking began, when a hydrogen leak was detected in the main engine number 1 main fuel valve. The valve was replaced at the pad. The launch was re-set for 5 October, but weather effects due to Hurricane Opal led to the L-1 day decision to postpone the launch one day to 6 October. The 6 October launch attempt was scrubbed prior to external tank loading when it was determined that hydraulic fluid had been inadvertently drained from hydraulic system 1 following the main engine number 1 fuel valve replacement. A compressibility test demonstrated the system was satisfactory for launch, and liftoff was re-set to occur 7 October. The launch attempt on 7 October was scrubbed at T-20 seconds when the Master Events Controller 1 (MEC 1) failed to operate properly and mission managers determined it needed to be replaced. The launch re-set for 14 October was re-scheduled to 15 October to allow additional time to inspect the main engine oxidizer ducts as a result of finding a crack in a test engine oxidizer duct at Stennis. Also during the delay, a faulty general purpose computer 1 (GPC 1) had to be replaced. The launch attempt 15 October was postponed at T-5 minutes due to low clouds and rain. The launch was tentatively re-set to 19 October pending a successful Atlas launch on 18 October; however, the Atlas launch was delayed and the STS 73 was launch moved to 20 October. The countdown to liftoff on 20 October was delayed three minutes due to a range computer glitch, but otherwise proceeded smoothly. STS 73 marked the second flight of the US Microgravity Laboratory (USML-2) and built on the foundation of its predecessor, which flew on Columbia during STS 50 in 1992. The research during USML-2 concentrated within the same overall areas of USML-1, with many experiments flying for the second time. The crew divided into two teams to work around the clock in the 23 foot (seven meter) long Spacelab module located in Columbia's payload bay. Research was conducted in five areas: fluid physics, materials science, biotechnology, combustion science, and commercial space processing. USML-2 activities were directed by NASA's Spacelab Mission Operations Control facility at the Marshall Space Flight Center. The experiments went smoothly. In some cases, results re-confirmed existing theories, while in other cases results were new and unique. Highlights included unprecedented results from the Surface Tension Driven Convection Experiment, which flew for second time and studied in great detail basic fluid mechanics and heat transfer of thermocapillary flows, motions created within fluids by non-uniform heating of their free surfaces. Oscillations observed on USML-2 samples had never been observed on Earth, and researchers controlling the experiment from the ground were able to pinpoint when fluid flows transitioned from stable to unstable. The research has direct applications on Earth, in that unwanted fluid flows during melting and resolidifying can create defects in high-tech crystals, metals, alloys and ceramics. Flying for first time was the Fiber Supported Droplet Combustion experiment. More than 25 droplets of a variety of fuels were ignited, confirming theories about how fuels burn in microgravity. The results revealed larger droplet extension diameters (the size of a drop as it burns out) than are capable of being studied on Earth, with burning times 10 times longer. The data confirmed scientific predictions about burn rate and the amount of fuel left over after a fire goes out. This will allow investigators to refine theories and possibly develop new ones about byproducts such as soot and smog. Five small potatoes were grown on-orbit from tubers in the Astroculture plant growth facility. USML-2 marked the final test flight of the Astroculture hardware, with the unit set to become available commercially for sale or lease. Technologies incorporated in the Astroculture hardware design already are finding application on Earth; for example, the technology behind light emitting diodes (LEDs) that provide high levels of light on-orbit with limited electrical power is finding its way into energy-efficient lighting systems for large-scale commercial plant nurseries. The successful on-orbit growth demonstrated Astroculture's usefulness as plant growth facility and showed edible foods could be grown in space. A record number of Protein Crystal Growth (PCG) samples - around 1,500 - were flown on USML-2 and initial results indicated many had produced crystals which would be further studied after landing. Other crystal growth experiments were equally successful. In the Crystal Growth Furnace, which flew for first time on USML-1, a crystal was grown for the first time as a liquid bridge to minimize contact with container wall, thus decreasing the number of defects in the crystal. Eight semiconductor crystals were grown, also a very thin crystal and two crystals which could lead to products such as computer chips that are faster and use less power than traditional computer chips. The crew took time out from the Spacelab work to tape the ceremonial first pitch for Game Five of baseball's World Series, marking the first time the thrower was not actually in the ballpark for the pitch. The Columbia orbiter performed without serious problems, with the only notable glitch being two vernier thruster jets failing off several times throughout the mission; their function was restored by cycling them on and off. Also, an equipment failure at a ground terminal for NASA's Tracking and Data Relay Communications (TDRS) satellites necessitated two extended communications outages between Columbia and Earth in order to perform a repair. STS 73 ended on 5 November 1995 when Columbia landed on revolution 256 on Runway 33, Kennedy Space Center, Florida, on the first opportunity at KSC. Rollout distance: 9,032 feet (2,753 meters). Rollout time: 55 seconds. Orbit altitude: 150 nautical miles. Orbit inclination: 39 degrees. Mission duration: 15 days, 21 hours, 52 minutes, 28 seconds, making STS 73 the second longest Shuttle flight to date. Miles traveled: 6.6 million. The flight crew for STS 73 was: Kenneth D. Bowersox, Commander; Kent V. Rominger, Pilot; Kathryn C. Thornton, Payload Commander; Catherine G. Coleman PhD, Mission Specialist; Michael E. Lopez-Alegria, Mission Specialist; Fred W. Leslie PhD, Payload Specialist; Albert Sacco Jr PhD, Payload Specialist. NASA's STS 92 (Discovery 28, Shuttle 100) undocked from the ISS, ending the joint operations segment of the International Space Station Flight 3A mission.